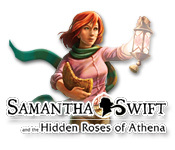 Samantha Swift and the Hidden Roses of Athena is rated 4.5 out of 5 by 14. Rated 5 out of 5 by foxie7749 from Wonderful Easy Game The game is easy but it keeps you wanting to know what happened. I love all the Samantha Swift HO games. All are fun to complete. Rated 5 out of 5 by upsysydaisy from I Am So Very Sad !! This is such a wonderful series. I own all the Samantha games, Hidden Roses feeling to me like the easiest of the four. They are so busy...traveling to different countries, hunting for important artifacts, keeping one step ahead of the female villain. I love Samantha, she would be a good companion for Indiana Jones. I think that would make for a great Indiana Jones movie !! Even though some gamers are opposed to this art style and the less sophisticated look or feel of the game, I find it very appealing and always have a great time playing. The graphics are just fine and very colorful, and interesting. I especially enjoyed the scene in the marketplace in this one, involving the soldiers...clever and comical. 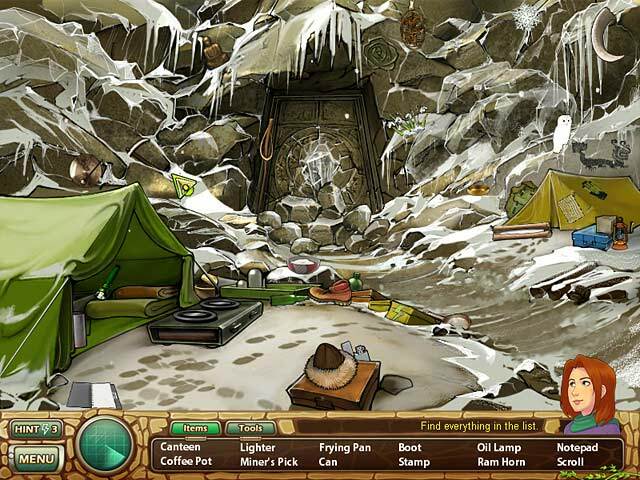 The locations are amazing for such a light adventure game and the tasks are pretty involved. It makes finding the artifacts and reaching your goals even more fun! All the Samantha games have so far played smoothly without any glitches or slow downs. Unfortunately, Hidden Roses has not lived up to that standard. I cannot remember what location I was on when I finally called it quits and uninstalled the game. I was quite far into the game, on a dig site. All tasks had been completed and all but one item was located, that being a key which needed to be located with a tool. The tool was the metal finder, I went right where indicated but it did not give me the key. I even went back over it numerous times using 6 of my saved-up hints. I tried everything. Absolutely nothing worked, so I am believing there is a glitch or I just became suddenly dumb as a rock because I could not do what was needed to move on. I am so disappointed, I could cry. But alas, I choked back the tears and swallowed my pride (lol) and uninstalled the game. It was a great time while it lasted !! Hopefully more Samantha games are in our future but I won't hold my breath...the newer games are not as sweet and innocent anymore. The dark, demented games are taking over at an alarming rate. The only light-hearted games available seem to be jigsaw puzzles and match 3. I do highly recommend this game. Rated 5 out of 5 by luvanurse77 from Samantha Swift is a great treasure hunter!! Captivating game & characters!!! Rated 5 out of 5 by indianlady68 from any fun games of hidden object i love to play any games.pls let u open my big fish games.what happen not open my any games?.i really miss that kind of games. Rated 5 out of 5 by SDKitty from Interesting Game Great Looking graphics sounds aren't to bad. Simple enough Item List. (You can see most of this review in the Preview Pictures.) 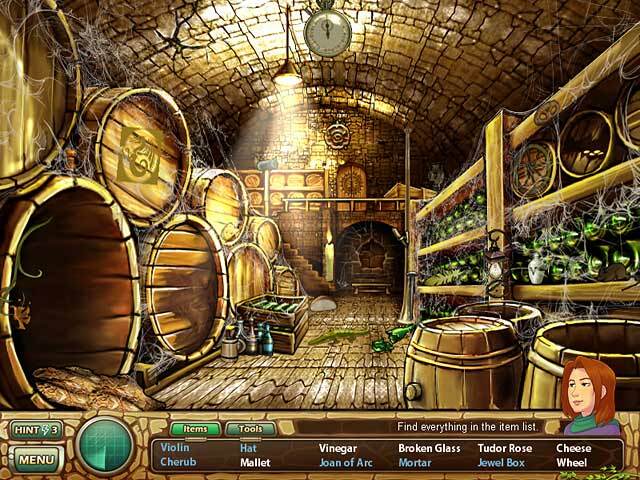 Game Play: Hidden Items Puzzle-solving Adventure Good story line and Nice Locations. Side Note: Not everyone likes or Previews a game the same, It's Mostly Based on a Point of View from 1 given person. Rated 5 out of 5 by cathain3 from Great game, not too hard. I love the characters in this game series and the graphics and music are fun, though not realistic. The HO scenes are pretty easy but I never grow tired of playing these games. Samantha is the female Indiana Jones and she has some great cheesy one-liners! 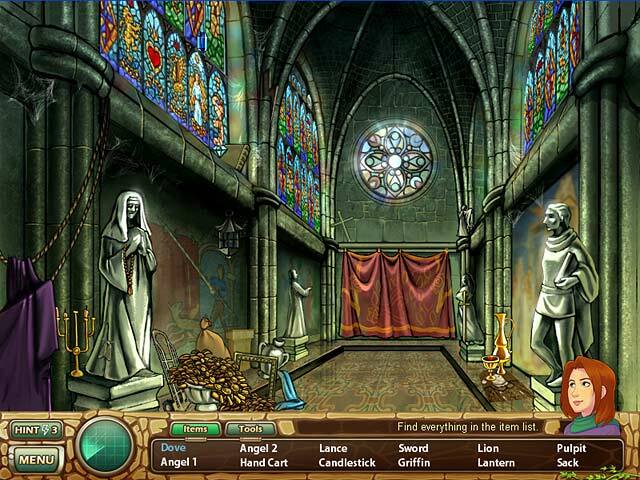 Rated 5 out of 5 by matrixchild1 from different hidden object game different from most hidden object games the story lines are great and the play is intriguing. I highly recommend.